The best product for the treatment of wrinkles is Botulisme Toxine. It is a safe product, with a direct effect. The product weakens the muscles that cause wrinkles. 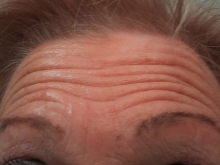 It is therefore important to know which muscles cause the appearance of wrinkles, to have a correct and natural result. 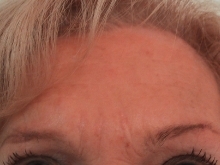 During the treatment of wrinkles, it is necessary to retain a certain mimicry without weakening all the muscles. Botulism toxin is also used for the treatment of wrinkles in the corners of the mouth and neck creases. The product works very gradually. 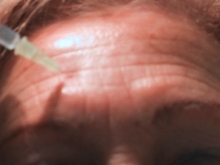 From the third day after the injection, we see the flattening of the wrinkles. Two weeks later, we see an optimal effect that will last 6 to 8 months. The time between injections will increase because you get used to not using these muscles and they will form wrinkles less quickly.